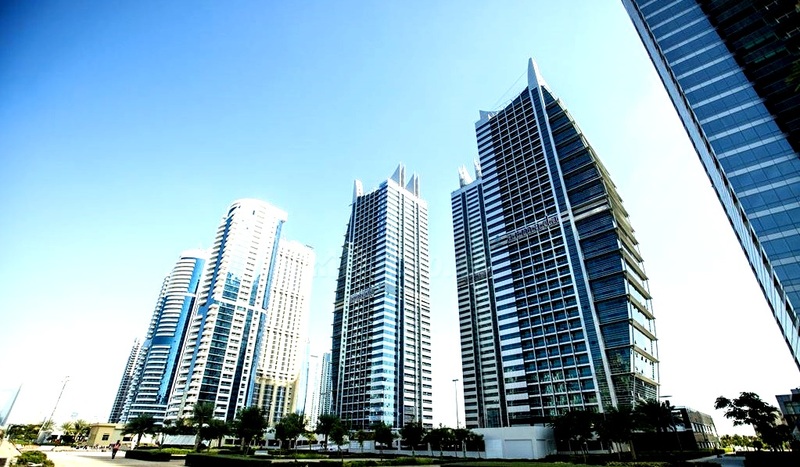 As much as being a niche development, the Residences occupies a unique spot at the northern end of Jumeirah Lakes Towers (JLT). Unlike most buildings in the community, The Residences does not share a cluster or podium with other buildings and the apartments sit uniquely on top of a five-star Taj hotel. Such exclusivity and individuality seem to be firm features of the property. “No two apartments are identical,” Raju Shroff, director of Signature Developers, the developer of the project, tells PW. The Residences will have 80 luxury apartments, which are expected to be delivered starting at the end of the year. There are also 28 full-floor residences of which half have been sold. PW chatted with Shroff to get an insight into the raison d’être of this project. What was the idea behind a luxury living spot in JLT? JLT was an interesting proposition because it was unfairly being treated as the poor cousin of the Dubai Marina, but we now believe that people actually prefer JLT, because of the ease of access, less density, the gardens for people to take in some fresh air and the ambiance. Our plot at the tip of north JLT is a standalone piece of land, so we don’t share a cluster or a podium and benefit from the panoramic views over Emirates Hills and the Emirates golf club, as well as the marina. This northern area of JLT could potentially be described as the premium side with the likes of Banyan Tree Residences in the neighbourhood. 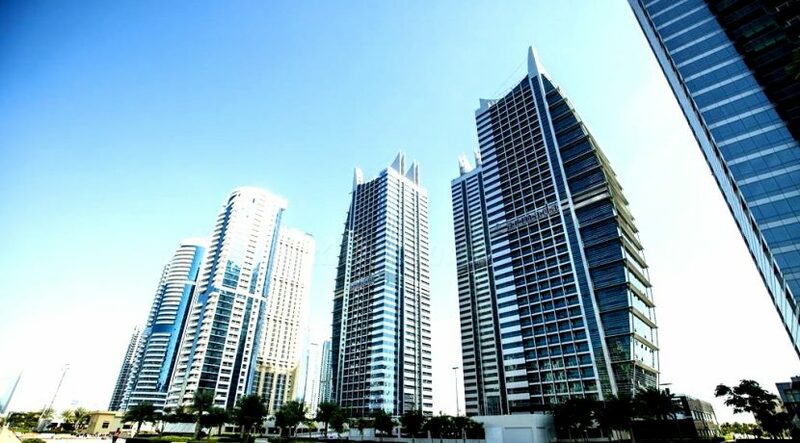 The concept was to build spacious homes of an excellent quality, instead of the maximum number of apartments, as there are hardly any high-end and spacious home in the JLT/Dubai Marina area. Good-quality living in this area tends to be expensive; people want something different, so we took the best of the small and big apartments, and created three collections within the 80 units, so people can choose according to their budget and lifestyle. The idea is if you come and live there it should feel like a New York condo lifestyle, with all the amenities, security and services. For example, we have studios for chauffeurs, something that is unheard of in JLT, an entertainment lounge and their own laundry area. We could have created another four apartments instead of that. When we approached JLT in 2013, we said we’re going to build a five-star product lifting the profile of the area, which JLT truly wanted to do both from a product or architecture and design point of views. DMCC has some of the most valuable companies in Dubai, but there was no compatible housing for the owners and operators of those companies. The façade of The Residences does look rather interesting. The whole idea was to create something unique in terms of its architecture. We don’t believe in all the twisting, circular and turning designs, because they are not efficient. No two apartments are identical; they are almost bespoke, instead of one size fits all. The balconies and terraces are huge, which can be used in a functional way. We wanted lots of light. How do you capture the entire outside into the building. If you chose a pod, whether it’s in the living room or in the kitchen, it’s a ‘room’ with a three-side view and sunlight coming in. You get a sense of floating in the air. How did you create that sense of high-end living? We’ve used very little ceramic, but all marble giving you the luxury feeling with extra high ceilings and neutral and clean pallets, which are easy to decorate. When you buy something to stay you don’t want to have to break it again to upgrade it. The parking bays are also wider, 3.5m; people with five- to six-bedroom units don’t drive a mini. The large units come with five parking bays, the three-bedroom units have two or three and the two-bedroom apartments have one. All have the option of buying extra parking space. How do you offset the cost of the luxury touches? When you build something with passion you tend not to look at the cost. It is a niche product. It will take time to sell, although we’re already 70 per cent complete. We’re happy with what’s happening. A Mercedes sells slower than a Toyota. We’d rather wait and sell at our price. Many people are also fed up with villa maintenance costs. The apartments offer safety for kids and they’re managed by the homeowners themselves. This kind of property is bought as a home and they may want to sell it in 10-20 years as an investment. Customers initially may not be willing to pay for our high ceilings of up to 3.6m, so it is difficult for them to accept the Dh1,600-Dh2,100 price per square foot. But once they physically stand in the unit they understand the value. Why did you add a hotel to the mix? The first reason was that we had half a million square feet of sellable area. You could have made 500 normal-sized apartments or 180 signature high-end apartments, but we didn’t want to do that. And our feasibility study suggested a hotel was a better fit than offices. At first we wanted a boutique hotel with 60-70 rooms, but that concept doesn’t work here yet, and the operators we spoke to wouldn’t take it. So we decided 200 rooms as a compromise. It gives you a recurring income and reputation, and mixes well with the residences and supports them organically. However, the lifestyle of the residences stands by itself. The hotel can just offer some extra services to the residents. As a trading family, why did you decide to get into property development? We jumped into real estate between 2002 and 2008. I did some small developments then, such as labour camps, then lost a lot of money in 2008-10 because of delays etc. In 2010 I told my family we’ve been developing only the build-to-lease model, so instead of putting money into developments that are not performing, why not build one to sell. In 2012 with my business partner, Jayant Ganwani, with whom I created Signature Developers, we bought a plot in Downtown Dubai. We also wanted to build something different, as we were both looking for an apartment for our respective fathers who wanted to move and couldn’t find anything appropriate. So the idea came to create an address for someone like them, with all the bells and whistles — something similar to the to the world-renowned high rises overlooking Central Park. I had wondered why Dubai does not have a building with a unique address that inspires people to buy. That’s where the concept came from for 118 in Downtown Burj Khalifa, an address instead of a name. In London and New York addresses sell, so we too decided to create an address in Dubai. Any other projects on the drawing board? If we can get a good location, such as a small plot in Dubai International Financial Centre, where we could build something different, a millennial lifestyle with good quality living, it could be something we would consider. It would be a very bespoke smaller building with large funky units for the singles who have the disposable income.